The Temporary Graduate visa (subclass 485) lets you live, study and work in Australia temporarily after you have finished your studies. It is split into 2 streams or pathways. The Graduate Work stream is open to graduates with an eligible qualification, who graduate with skills and qualifications that relate to an occupation that is considered in demand in the Australian labour market. The Post-Study Work stream is only open to overseas students who have recently graduated with an eligible higher education degree from an Australian educational institution. 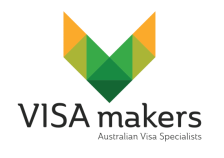 Temporary Visa permitting the holder to travel to, enter and remain in Australia for 18 months for graduate work stream holders. Visa holders can stay for either 2, 3 or 4 years dependent on their course of study. You have had your qualifications assessed by the relevant assessing authority. - IELTS: Overall score of 6 with a minimum score of 5 in each of the 4 components. - TOEFL iBT: Score of at least 64 with a minimum score of 4 in listening, 4 in reading, 14 in writing and 14 in speaking. - Pearson Test of English (PTE) Academic: Overall score of at least 50 with a minimum score of 36 in each of the 4 components. You have met the Australian study requirement. In the six months before you apply, you must meet the Australian study requirement. You hold an eligible qualification at AQF 7 or above. The English requirements are the same as in the Graduate Work Stream.